I have been asked innumerable times how I find the time for family history work. I suppose people wonder how a busy mother with a large family can stay sane, much less have time for a hobby like family history. Sometimes I wonder too! But, my answer is actually quite simple: family history is important to me so I make it a priority in my schedule. I schedule time for it just as I do all the other important tasks in my life. I hope to offer inspiration and motivation to those who feel the desire to look into their genealogy, but are not sure if they can fit it in. I believe anyone can make time for family history, no matter what season of life they are in! What is family history work? Expanding the family tree to include newly-found individuals. How do you make it a priority? Where can you regain some time for this priority? Each of us are given twenty-four hours a day to use how we choose. Now, it is true that we must meet some needs: shelter, food, clothing, sleep. Beyond that, we all have choice in what we will do with our time. 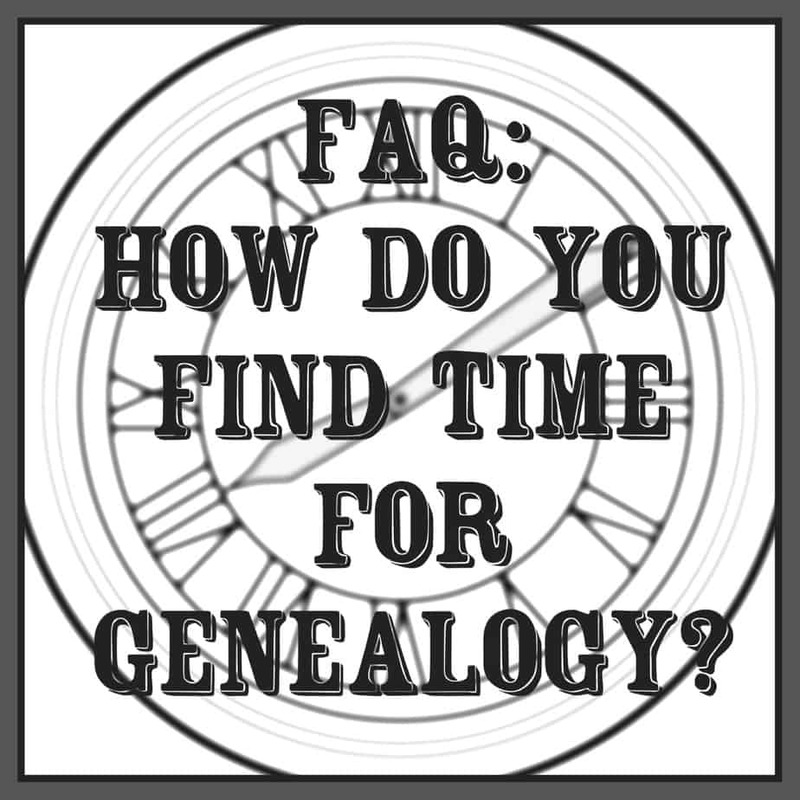 Because genealogy work brings me great joy and satisfaction, I have found several ways to reserve time for it. Here are some of the philosophies I use to help me make more time for genealogy. Delegate: As manager of my household, it’s okay to delegate many tasks to other members of the family, so everyone shares the load. I find that in this way, I carry a manageable load of household tasks that are best for me to handle myself. Just Enough: Over the years, I have learned to be satisfied with just enough. I’ve learned that is okay if some things are left undone or are less than perfect. I am content with simple food, a clean enough house, etc. Eliminate: Everytime I feel overwhelmed by the tasks on my list, I know it is time to start eliminating. It’s alright to turn some things down. It’s ok to let go of small things that take a lot of energy to worry about. I say “no” to more stuff, more obligations, and more busyness. Letting go of less-important daily tasks allows me to focus on more important tasks like finding and preserving my family’s legacy. Use the in-between times: Take advantage of the in-between times that might be getting wasted today and fill them with family history work instead. While my family watches their favorite show on TV, I can sit next to them on the couch and do family history work on the iPad. While waiting at the doctor’s office, I can be cropping family history pictures on my phone that I took earlier. Collectively, these small amounts of recovered time add up to a lot of family history time! Technology tools make it easier! 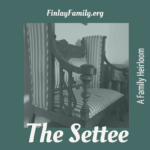 We are busier as a family now than ever before, but there are better family history tools to work with, allowing me to get more genealogy work done in a much shorter amount of time. Laptops, tablets, and even smartphones are mighty genealogy devices. 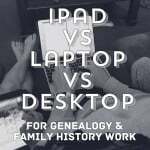 I use my iPad and smartphone for 95% of my genealogy work, which means I can do it anywhere, whenever I have some time. With various apps and tools on the iPad and phone I can: search genealogy databases, write stories about ancestors, record interviews, take photos of artifacts, gravesites, etc., digitize old photographs and share online, etc, etc. There are very few genealogy tasks I have to do while sitting at my office desk anymore. This has hastened my pace immensely! Research that took hours, days, or weeks when I first began searching for my ancestors, can now be done in just a few minutes with the many powerful genealogy websites & databases that are accessible online. We cannot do it all, but we CAN do something! In the years that I have been doing family history, I have found that the amount of time I am able to commit and the genealogy projects I focus on change with the seasons of life. For example, in my teen years I interviewed grandparents, and learned computer programs (PAF, anyone?). I probably revisited my genealogy interests 4-6 times a year. In my college years genealogy was my college major, and so I worked daily on it. I took many classes, collected stories and photos of ancestors, and wrote lengthy papers about my maternal grandmother’s childhood and a great-grandmother’s LDS missionary service. 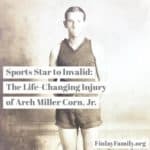 As a newlywed and new mother, I researched in archives and libraries, digitized and donated several ancestral journals and letters to special collections, and supported my husband as he created an online, shareable database for our family records (which still resides on this website today under Charts). During this time period I worked on genealogy in spurts as various projects came up and I could coordinate with naptime and/or childcare. 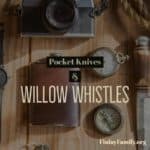 As a mother of several little ones, I read the journals and life histories of various ancestors and shared stories with my children. I continued to collect genealogy materials as family members offered them (I had become the default “Keeper of the Family Memories” after years of expressing interest). One exception in my genealogy journey was a two year period of time of family medical crisis during my pregnancy and after the birth of our twins (children #4 & #5). All my time during this period was consumed with caring for the needs of very sick preemie babies while also caring for three additional young children. My genealogy activities were nil during this extreme circumstance, yet I felt strengthened by the knowledge of my ancestors, especially my foremothers. Knowing about some of the extreme trials they faced and overcame strengthened me during my own time of trial. Today I am a mother of seven children from age seventeen down to three. Over the past several years I have increased my family history time to an hour or two, 4-6 days per week. I block out time in the afternoons for genealogy work. My focus is currently on making all of my inherited collections digital and distributed to online trees so all descendants of my ancestors have access to the treasures I hold. After these many years, there is still more work to do. In fact, I think it is impossible to ever say “My genealogy is all complete!” But, over time I have been able to discover, preserve and share the legacy of hundreds (maybe thousands) of my ancestors. Similarly you will not do all of your genealogy in one fell swoop, but you can also do SOMETHING over time! Are you ready to make family history a priority in your life? When can you reserve some time for this work? If you feel the tug, now is this time! This is the season for you! You will be rewarded for your efforts and will come to know and love your ancestors and the legacy they have left you. There is always time for genealogy. I enjoyed reading about your journey. Your words are so helpful and encouraging!!! I’m so glad to hear that, Nicole! Thank you. I loved this post! 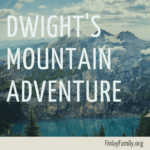 A few weeks ago in my 12 year old Sunday School class the lesson was on genealogy and our discussion centered on some of the fun options for participating in Family History like interviewing family members. This post provides a great list of ideas. Thanks, Shelly! I’m glad this list is helpful. 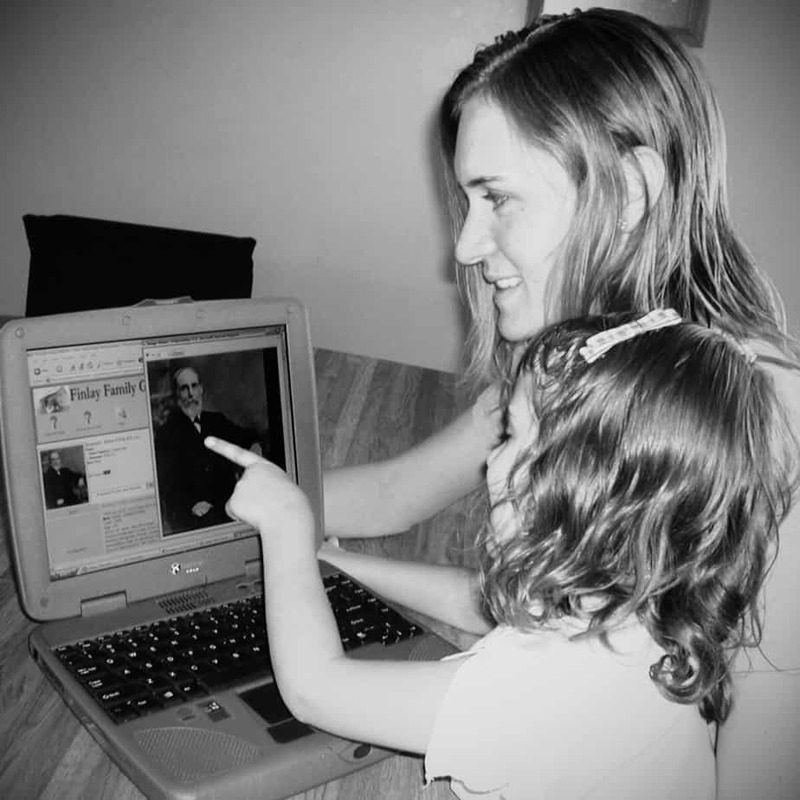 There are so many ways to participate in family history that I am convinced everyone can find something that piques their interest in their ancestors! This is a fantastic post. 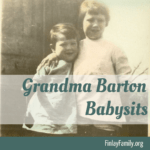 You’ve put into words my feelings about being a genealogist and mother! It’s a great life, isn’t it? It is! The two fit together so perfectly, each enhancing the other.